The Transparency effect is used to make an image partially transparent. 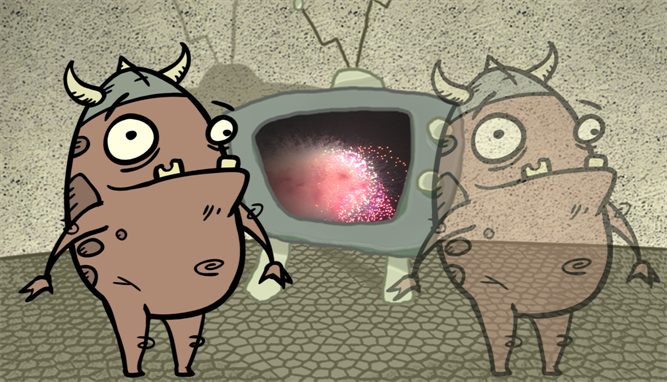 The Transparency effect is useful when fading images in and out, such as a phantom or to make something partially see-through, such as a window. 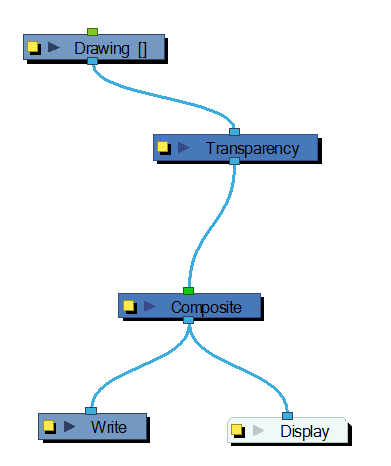 Use the Transparency editor to control how translucent the element should be. You can enter a value in the Transparency field or change the transparency value over time by linking it to a function curve. Entering a value of 100 in the Transparency field will make the element 100% transparent, in other words, invisible. Entering a value of 0 will render the element completely opaque. 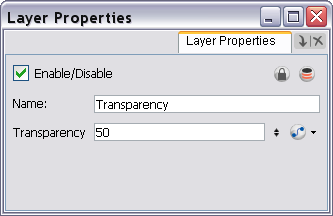 It is also possible to adjust a layer/module's transparency directly in the Layer Properties window without using the Transparency module. 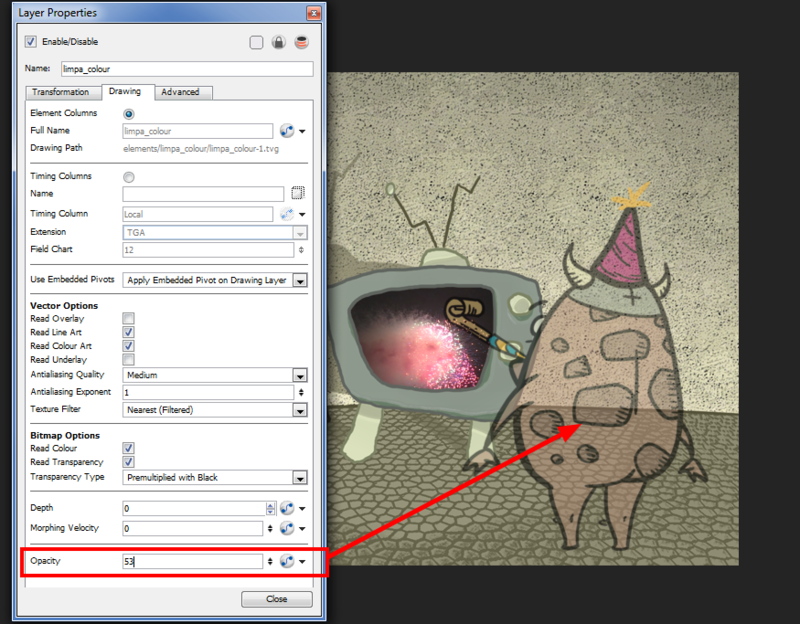 In the layer's properties, go to the Drawing tab and adjust the Opacity parameter. This parameter is visible in OpenGL mode.